Macmahon has enjoyed increased activity in key projects during the six months ending December 2018, putting the company on track to gaining a billion dollar financial year revenue. In the six months to end-2018, Macmahon reaped double the amount of revenue ($542.2 million) it obtained in the prior corresponding period. The substantial growth was propped up by the Batu Hijau copper-gold project in Indonesia, the Byerwen coal operations in Queensland and the Mount Morgans gold mine in Western Australia – all of which are new projects with increasing activity. The coal services company Macmahon acquired last year, TMM Group, also contributed to Macmahon’s striking performance, with projects including Saraji and Peak Downs coal mines in Queensland. 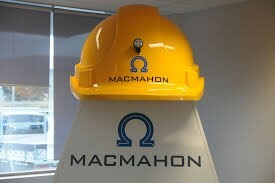 Macmahon revealed its project pipeline of tender opportunities was valued at around $7 billion. This pipeline is split between Australia and Indonesia, and comprises gold, copper and other base metals, lithium and coal projects – both surface and underground. “We have moved through the ramp up phase and into execution and optimisation on a number of major projects,” Macmahon chief executive Michael Finnegan said. “Encouragingly, of the $7 billion of tender opportunities, over $5 billion of these relates to projects where we are preferred or exclusive tenderers. Macmahon reiterates its revenue guidance of $0.95 to $1.05 billion for the 2019 financial year.